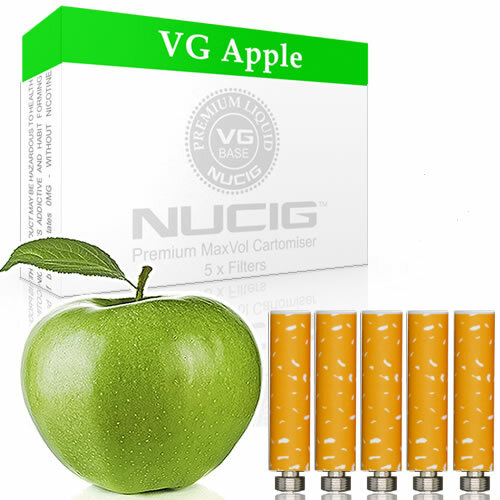 NUCIG® Apple Flavour MaxVol Filter Pack. Strengths available in ZERO content nicotine. Nice hint of apple and perfect for me to keep me off those dreadful real ones. lovely people to deal with and always fast postage/delivery.